Dedicated to Nomsa Gumunyu, my good friend who made what would have been one pleasant visit to the castle in August 2014, even nicer. 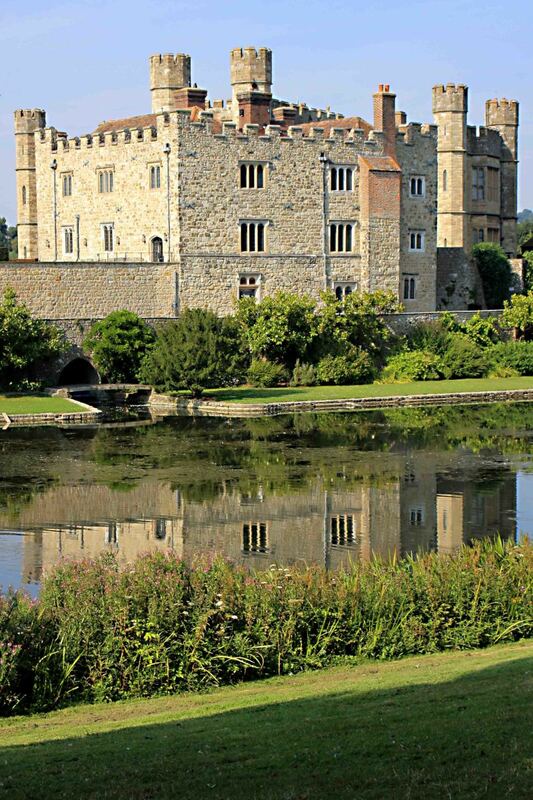 There is a castle in the county of Kent, in England, which has been described as 'the loveliest in the world'. The castle, which is rather strangely called 'Leeds' (the county of Kent is in southeastern England, whilst the City of Leeds is far away in the northeast), has a long history first as a royal residence and then as a private mansion before opening to the public in the year 1976. 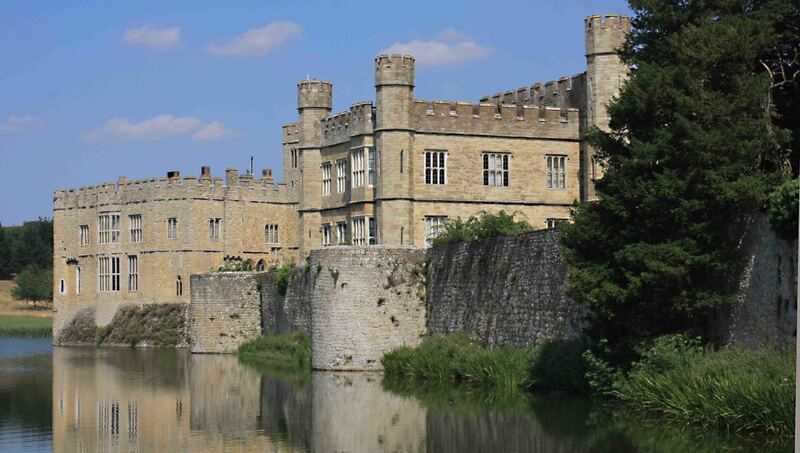 Since then Leeds Castle and its extensive grounds have become a popular tourist attraction in this part of England with visitors young and old, attracted from every corner of the world. They come for the history, the beauty of the landscape and the entertainments which have grown up in the grounds in recent years. Leeds Castle has a history going back nearly 1000 years, though throughout this very long expanse of time, the buildings on the island have shown many constructions and demolitions, reconstructions and refurbishments, and each phase has reflected radical changes in the ownership and function of the castle. The buildings today represent the architecture of all centuries, but all have been designed to complement each other as a seamless whole. There is a record in the Doomsday Book of 1086 AD, of what is thought to have been a Saxon manor on the site here. The record relates that there was a vineyard and a church, and it describes meadows and woodlands, and details the number of villagers and peasants The area is listed as being about 600 acres and it was valued at £20! This is the first account of significant habitation, but original construction here is believed to date to 857 AD, and the reign of the Anglo Saxon King Ethelbert IV. During that time the settlement would have consisted of basic earthworks and timber buildings, perhaps constructed here because of the confluence of tributaries of the River Len. 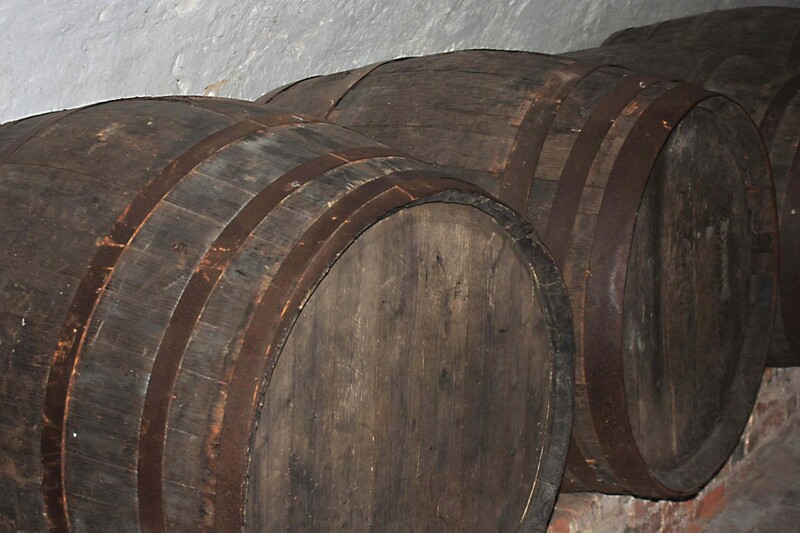 These fed into local ponds or lakes which would have provided not only defensive possibilities, but also a source of energy to drive a local water mill. Sadly, nothing of significance remains today of these very early structures. And why is Leeds Castle named after a city which lies 234 miles to the north? It isn't. It is believed to have been derived from a corruption of the name Ledian; Ledian was chief minister to King Ethelbert IV. Construction of the first stone castle building on the site was initiated on two islands in the River Len by the Norman baron Robert Crevecoeur around the year 1119. His new castle probably consisted of a fortified tower or 'keep' on the smaller island, with domestic buildings on the larger island. The two islands would have been connected by a drawbridge over water, though its not entirely clear exactly how much of the castle was surrounded by water at this time, and sadly most of the 12th century structure has now long since gone. However it was during this period that the castle saw its first known hostile action. Following the death of King Henry I, there was a struggle over accession to the throne between his nephew Stephen and his daughter Matilda. In 1139 the newly crowned King Stephen captured the castle from supporters of Matilda. It was more than a century later under the reign of King Edward I, whose wife Eleanor of Castile owned the castle from 1278, that truly extensive castle construction took place. 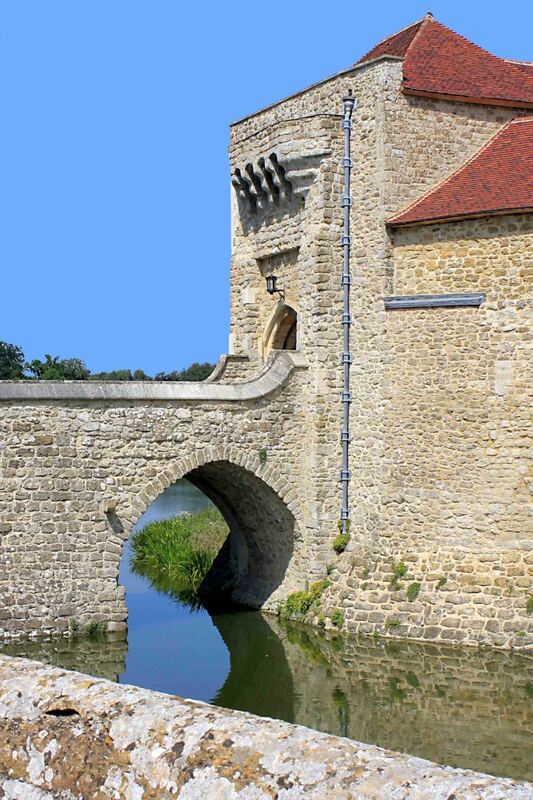 This included the outer wall which surrounds the large island, a Barbican (a fortified outpost or gateway with drawbridge and portcullis), another drawbridge connecting the large island to the rebuilt keep, (now called the Gloriette with rooms for the king and queen), and an aquaduct which enabled flooding of the Len Valley to create a permanent defensive moat or lake around the castle. Eleanor died in 1290, but soon afterwards Edward married the French princess Margaret. And the new Queen Margaret, like Eleanor before her, took Leeds Castle as her own property - it seems a tradition was now developing for Leeds Castle as a 'Queens Castle' - owned or lived in by a succession of Medieval queens either as a 'second home' during the life of their husband, or as a widow after the king's death. 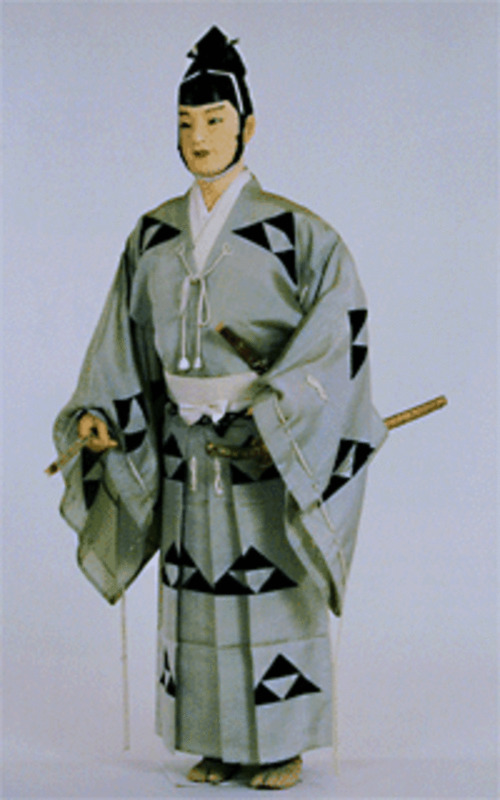 As befits a royal castle, the next few centuries saw some action, both violent and romantic. In 1321, at a time when many of the nobility were in serious dispute with the monarch, Queen Isabella, wife of King Edward II, was refused entry by Margaret de Clare, the wife of the steward of the castle. The party were fired upon and six of Isabella's followers were killed. Edward II laid siege and captured Leeds Castle on 31st October. He then beheaded the steward (also known as the Constable), and imprisioned Margaret de Clare. 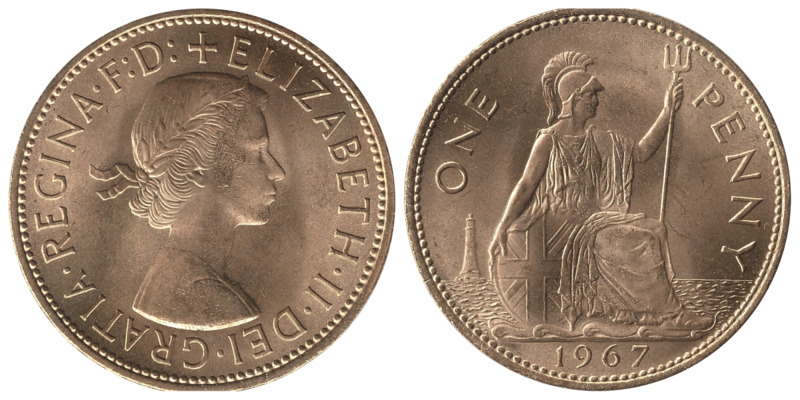 After Edward's death, Isabella became the third queen to reside at Leeds in less than 50 years. 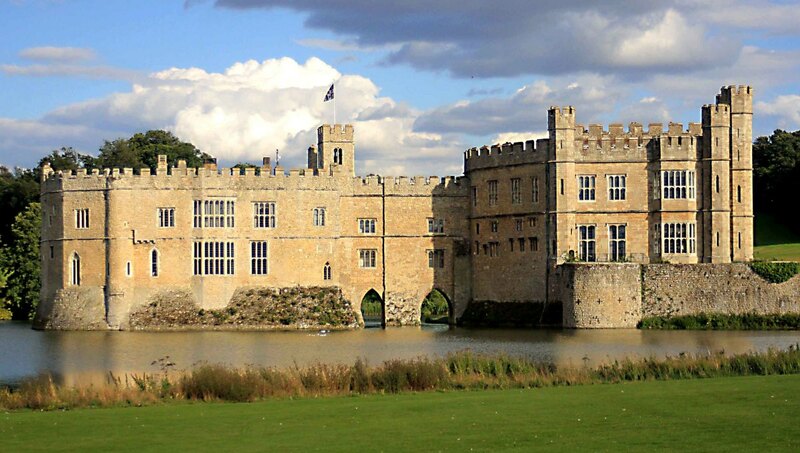 By no means were royalty the only people to own Leeds Castle during medieval times. 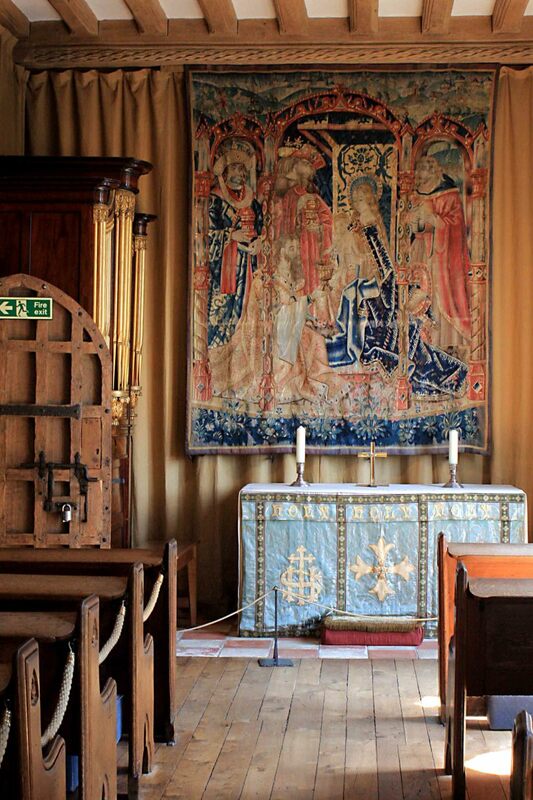 Various nobles occupied the castle during this era, including at one time the Archbishop of Canterbury. But it is undoubtedly monarchy, and specifically Queens of England, who are the most renouned residents. In the winter of 1381, the castle received yet another royal visitor when Anne of Bohemia stayed here. She had arrived in England on her way to marry King Richard II, and the castle was granted to her. She became the fourth queen to reside here, and following their marriage, Richard and Anne made many further visits to the castle. Then in the early 15th century, Henry IV gave Leeds to his second wife, Joan of Navarre. She was later accused of witchcraft and briefly imprisoned at Leeds by her stepson Henry V, with whom she'd quite obviously fallen out! Catherine de Valois, the widow of Henry V, became the sixth queen to inherit the castle, and she owned it until her death in 1437. And speaking of witchcraft, a later occupant, Eleanor Cobham was convicted of using witchcraft in 1441 to do harm to the next English king, Henry VI. Like Joan, she wasn't actually executed - instead she had to walk barefoot through a London street carrying a lighted taper in her hand! In addition to the exploits of various tenants of Leeds Castle, the Medieval period had seen gradual and periodic development and refurbishment of the site and grounds into a substantial and sumptuous home for not only the owners, but also for their many attendants. However, the most famous period in its history came after the end of the Medieval era, during the reign of the extravagant Tudor King Henry VIII. He oversaw the castle's redevelopment into a palace, specifically for the first of his six wives, Catherine of Aragon. 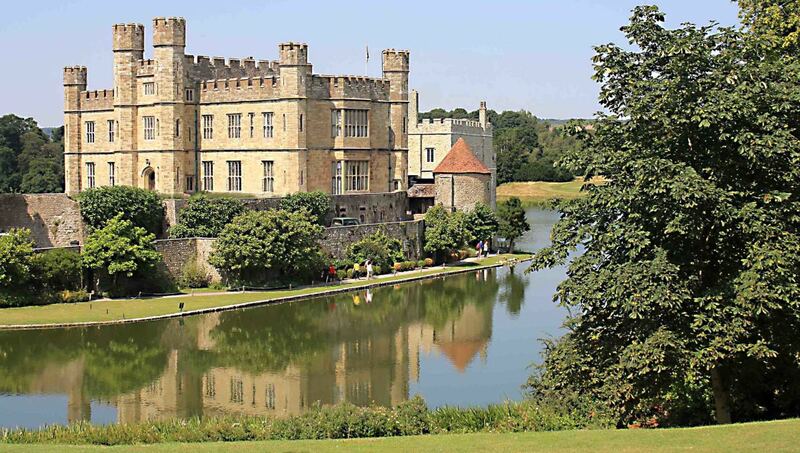 In 1520, King Henry himself stayed at Leeds Castle en route to Dover, from where he sailed to France for a meeting with French King Francis I. The meeting was a diplomatic bridge-building exercise which involved several days of feasting and tournaments on the so-called 'Field of the Cloth of Gold'. The estate finally passed from royal ownership into private hands for the last time in 1552. Edward VI gave it to Sir Anthony St Ledger, Lord Deputy of Ireland, whose grandfather had once been Constable of the castle. Soon after this and during the reign of Mary Tudor ('Bloody Mary'), her sister the celebrated future Queen Elizabeth I, is widely reported to have briefly been imprisoned here, although details appear sketchy. 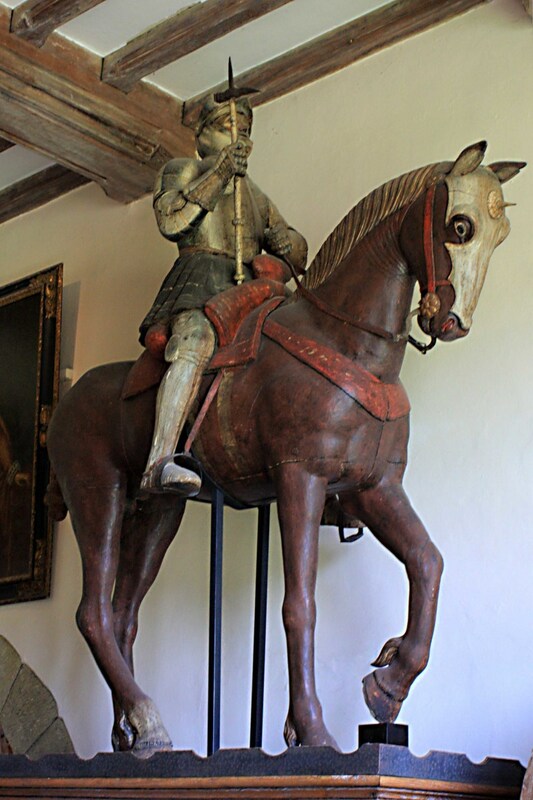 In the 17th century, Leeds Castle was caught up in the English Civil War, but escaped destruction when its then owner, Sir Cheney Culpeper, chose to side with the ultimately victorious parliamentary forces in opposition to the king, Charles I. But although Sir Cheney's siding with Parliament was fortunate for the castle, so too was the fact that other members of his family remained as staunch royalists. Because following the restoration of the monarchy in 1660, a royalist cousin, Thomas Culpeper, inherited Leeds Castle and the family grew wealthy with the granting of five million acres of land in Virginia in the Americas, bestowed upon them for services to the Crown. For much of the next century Leeds Castle was owned by descendents of the Culpepers, including Robert Fairfax, under whose governership the castle was developed further into a grand country house with a Georgian facade to the main Hall, and the park and gardens - today almost as big an attraction as the castle itself - were extensively landscaped. In the 1820s the Wyckeham-Martins inherited the castle as well as the proceeds of the Virginia estates which they used to commence the last radical phase of construction. This included the repair of many crumbling buildings. Most importantly, the Hall which had been built on the main island was demolished and replaced with the building which stands today - a well crafted mock Tudor structure in pefect harmony with the older buildings on the site, and commonly known today as the 'New Castle'. Then in 1926, Leeds was sold to the Honourable Mrs Olive Wilson Filmer - Lady Baillie - who was an Anglo-American heiress and society hostess. 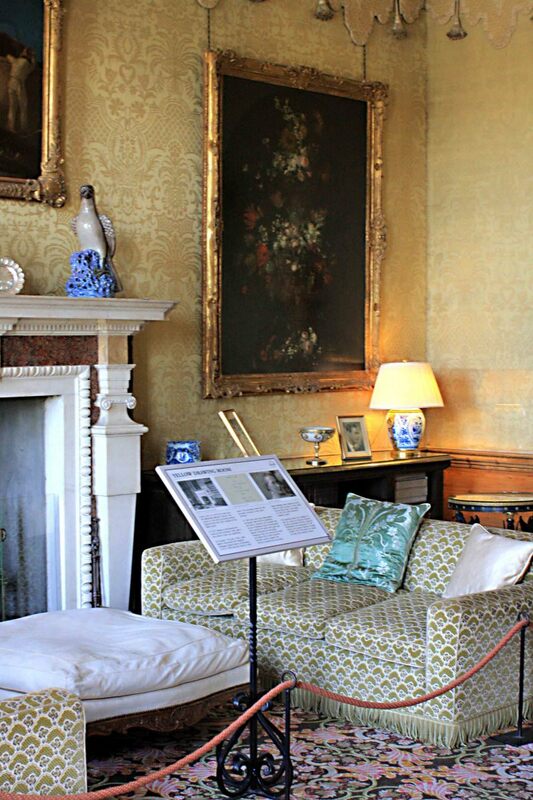 Lady Baillie was actually to become the longest serving owner of Leeds Castle in its history, and she would spend many years restoring her new home as a country retreat. Over the next 50 years Leeds Castle was the venue for many social events, which attracted a long and impressive guest list including the Duke of Windsor (Edward VIII), Jacqueline Kennedy, and many statesmen and popular celebrities. But in 1974 Lady Baillie established the Leeds Castle Foundation to manage the estate, and after her death, the castle and grounds were handed over to the Foundation and finally opened to the public in 1976. 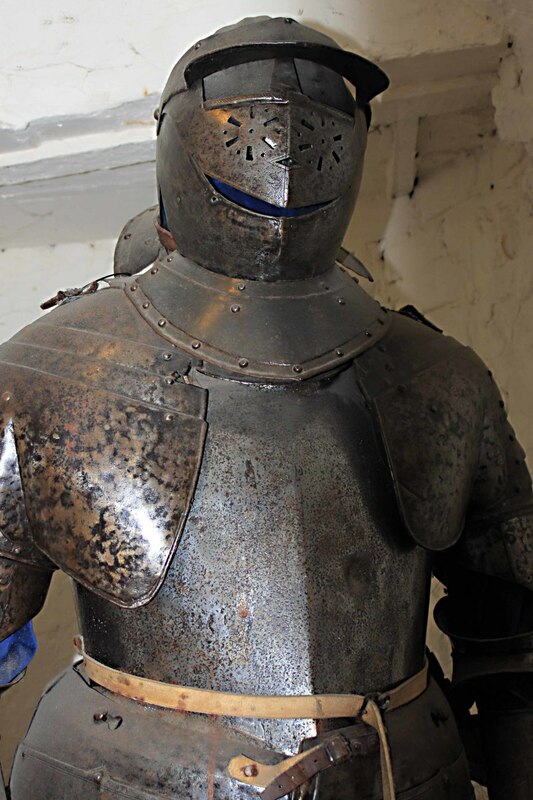 In addition to its roles as royal palace, private country retreat and tourist attraction, Leeds Castle has served many other functions over the centuries, including acting as an arsenal for the parliamentary forces during the English Civil War. It has also served as a prison at various times (Dutch prisoners in 1666 revolted and burned part of the Gloriette in that year - extensive damage which went unrepaired for over 150 years until the arrival of the Wyckeham-Martins. French prisoners of war were also detained here at the time of the Napoleonic wars. Then during World War Two, Leeds Castle briefly served as a hospital for injured servicemen. And politically, the castle has hosted important conferences, including in 1978 early discussions between Israel and Egypt leading to the later Camp David Accord, and in 2004, Northern Ireland peace talks hosted by Prime Minister Tony Blair. 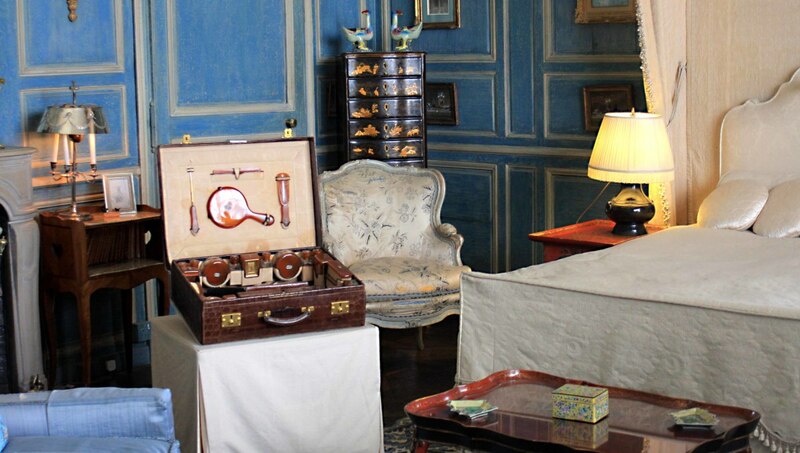 Today, tourists can enter the castle and see most of the living quarters, many of which have been restored to their former glory and furnished as authentically as possible. As one enters the castle across the moat, the first stonework structures encountered are the remains of the early medieval Barbican and mill. Then one passes through the big Gatehouse on the larger of the two castle islands. This Gatehouse once housed kitchens and a pantry and other functional rooms, but today there is a gift shop on the left, and a visitor centre on the right. 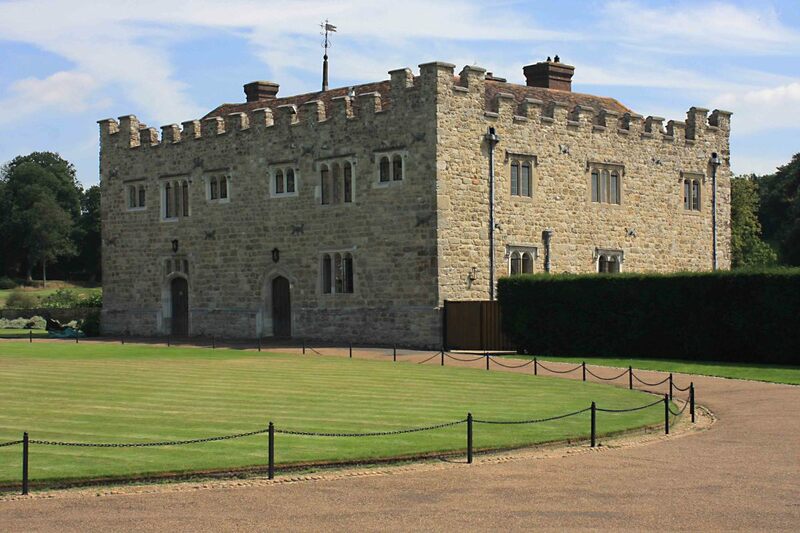 However, most peoples' attention will be drawn forward to the oval lawn which is on the large island - directly in front across the lawn is a wonderful view of the New Castle, and on the right is the Maiden Tower. The Maiden Tower is a large square building, once used by Ladies in Waiting in the employ of Henry VIII. Today, that building is not usually open to the public, but serves as a venue to be hired for ceremonies such as weddings. As for the New Castle, many will want to take advantage of the photographic oportunities offered by this position, but now is not the time to enter the main castle buildings. Instead, we must turn back to the Gatehouse and the small visitor centre, which includes displays and an excellent video presentation about the history of the castle. From the visitor centre, one has to follow a planned route, though at your own pace. First, the visitor walks along a lakeside path to the south of the castle before entering the Gloriette at lake level through an ancient 12th century cellar. The route then leads up through the Gloriette and back via the chapel to the New Castle. From here, the visitor exits back on to the lawn and returns via the Gatehouse to the castle grounds. 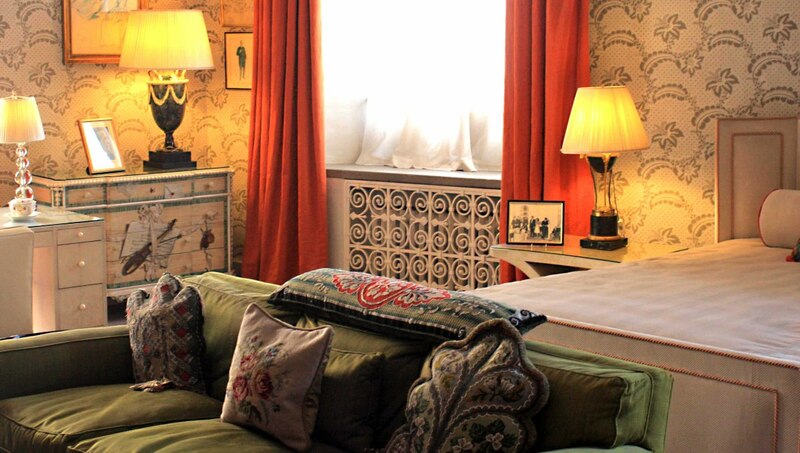 The route which is followed through Leeds Castle takes one through each of the castle rooms in turn. 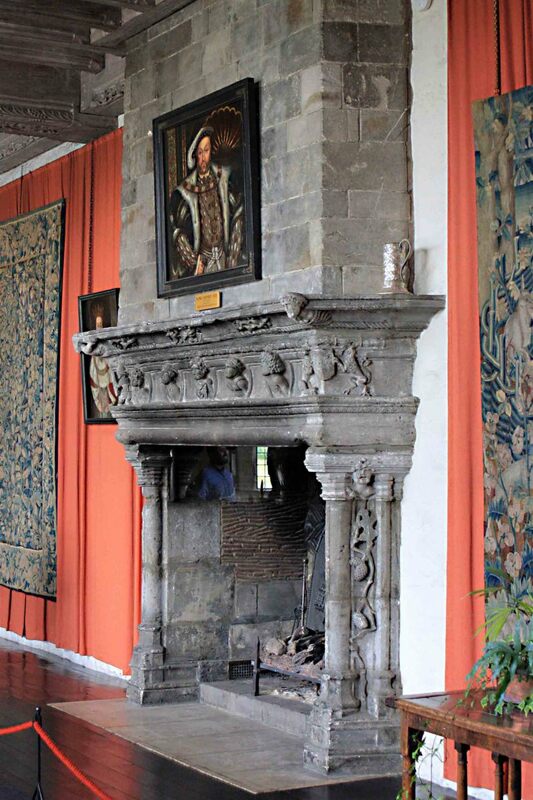 Two broad themes are reflected in these rooms, relating to the two distinct eras in the castle's history - the royal years of the Medieval queens and the Tudor dynasty, and the private mansion era, notably when Lady Baillie lived here. Most of the rooms in the earlier part of the tour are in the oldest part of the modern castle - the Gloriette - and these include the cellar, the queens' bed chambers, and the banqueting hall and chapel, and many of these rooms are furnished to reflect the castle as it was in its royal days. 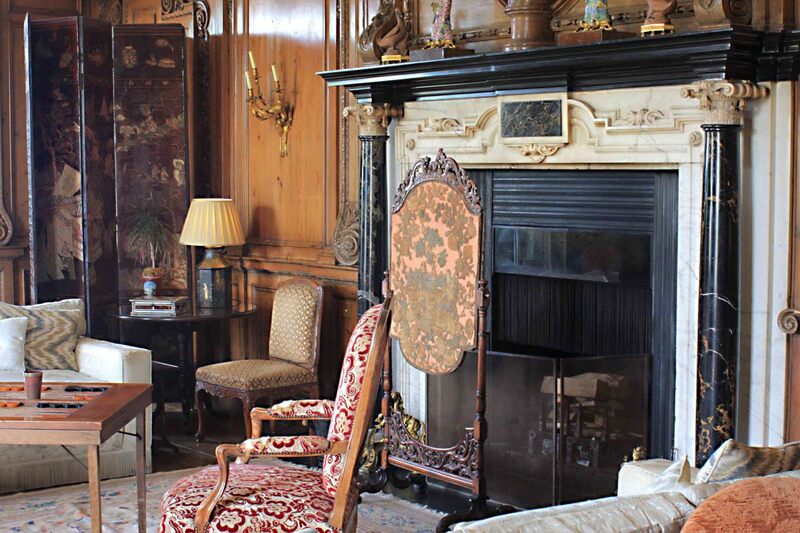 Then after passing through the chapel, visitors enter the New Castle and rooms authentically decorated to show the living quarters as Lady Baillie would have known them, including bedrooms, drawing rooms, a dining room and a library. 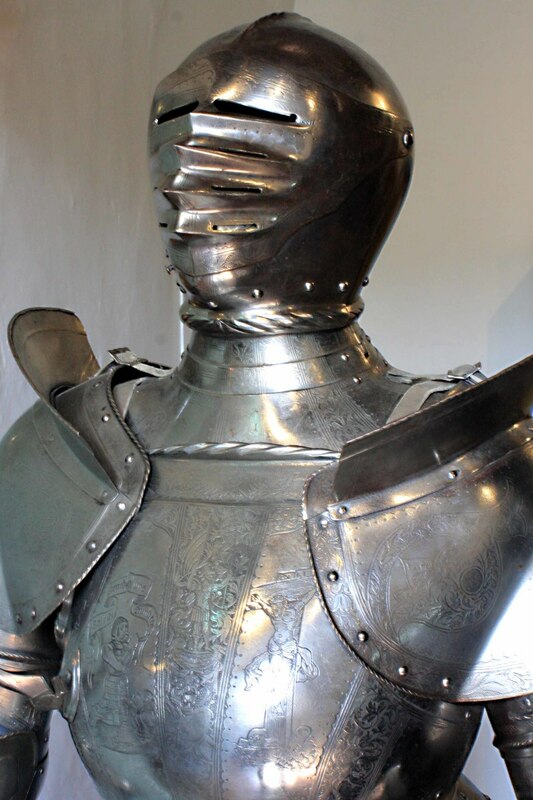 Of particular interest to visitors may be the suits of armour displayed in various parts of the castle, a historic painting of the 'Field of the Cloth of Gold' in the banqueting hall, the small and peaceful chapel, the impressive (in some cases massive) volumes of antique books in the library and the paraphernalia of every day living to be found in the domestic living rooms. 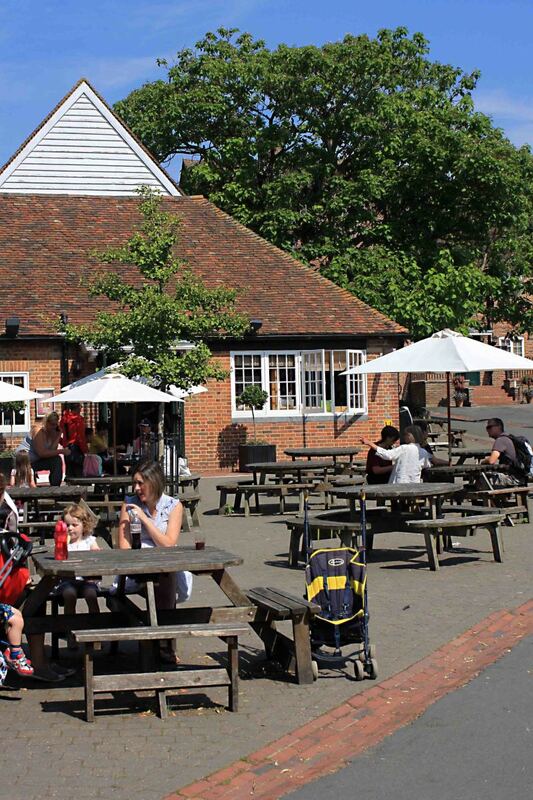 If the castle is the focal point of the Leeds Castle experience, then almost as many may visit for the extensive parklands surrounding the castle which were landscaped nearly 300 years ago. Some of the trees planted then, still grow here today. There are formal laid out gardens, most notably the Culpeper Cottage Garden and the Lady Baillie Mediterranean Garden Terrace. 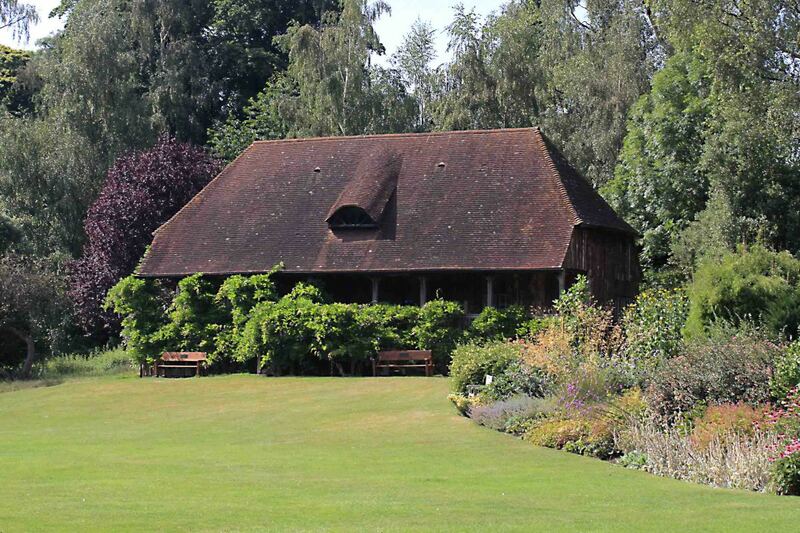 There's also the attractive lawn with flower beds and an old pavilion illustrated on this page. But perhaps more important are the extensive grassland and wooded areas which are populated by a wide range of trees and shrubs, probably seen at their best when the spring bulbs are blooming, though there is interest to be found here at all times of the year. 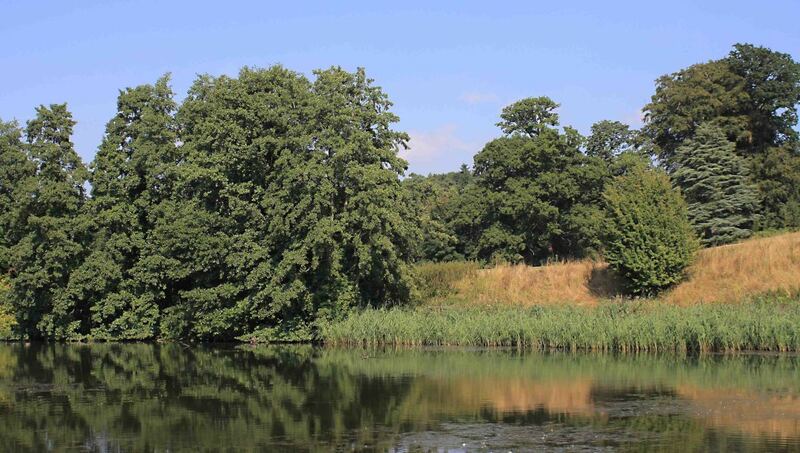 And of course, if Leeds lives up to its epithet of 'World's Loveliest Castle', then it is not only the gardens, but also the moat surrounding the castle walls, and all the other lakes and ponds, which are an integral part of that aesthetic appeal. 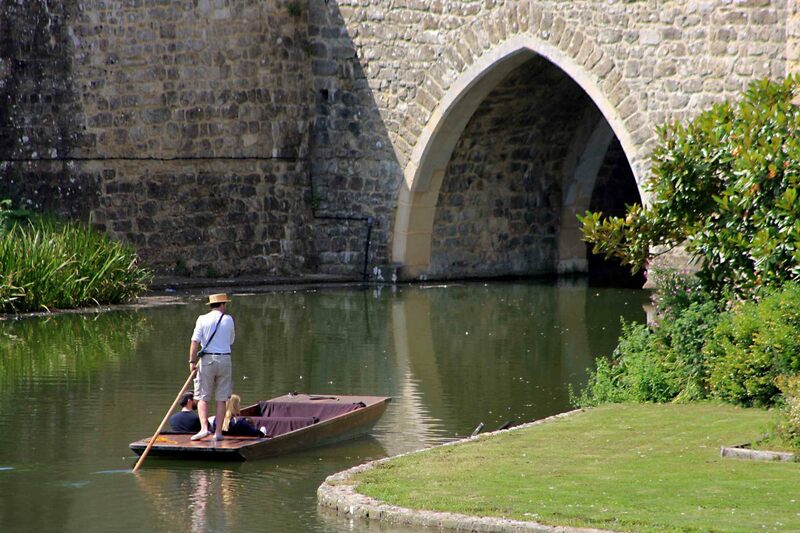 A punt can be hired on the moat for a 20 minute trip round the castle, whilst on a lake called Great Water which lies to the south, a ferry plies a short route between one pick up point by the Gatehouse, and another close to some of the attractions listed below. 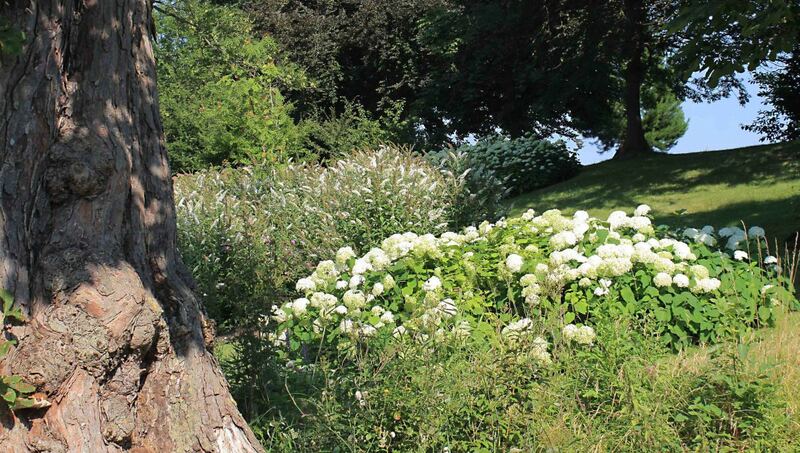 Today the gardens and the lakes they include comprise as much as 500 acres of English countryside. 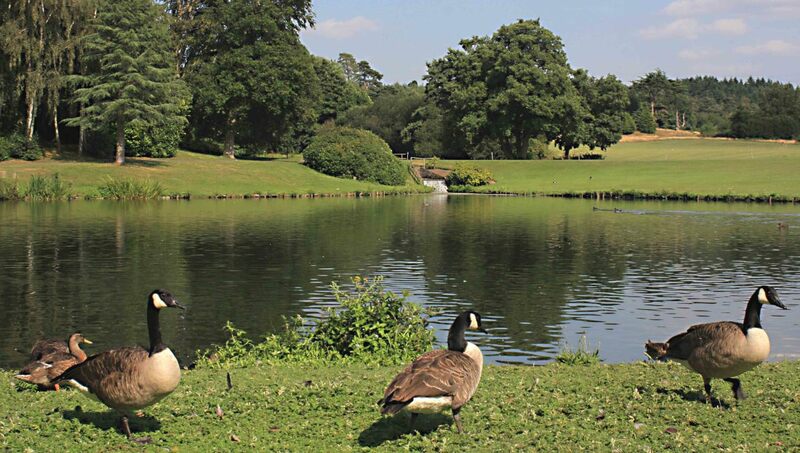 With lakes and ponds come water birds, and undoubtedly one of the appeals of Leeds Castle are the flocks of water birds - notably ducks, geese and swans. White mute swans are a familiar natural sight in Britain, but here at Leeds Castle there are also black swans, a species which is native to Australia. 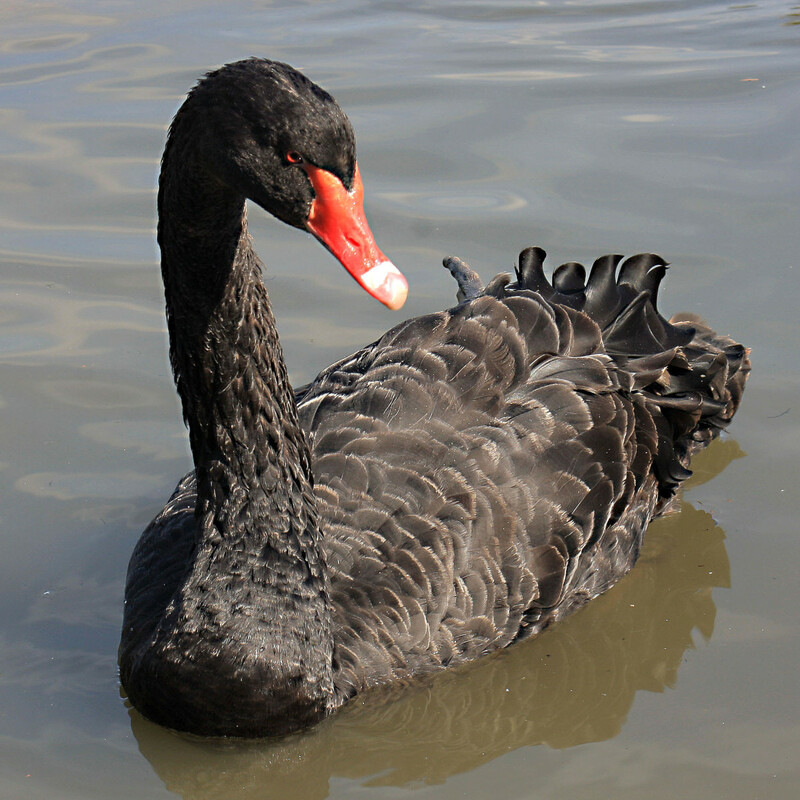 These black swans were originally a post-war gift to Prime Minister Winston Churchill from the Government of Australia, and were introduced to the grounds of Leeds Castle in the 1980s. 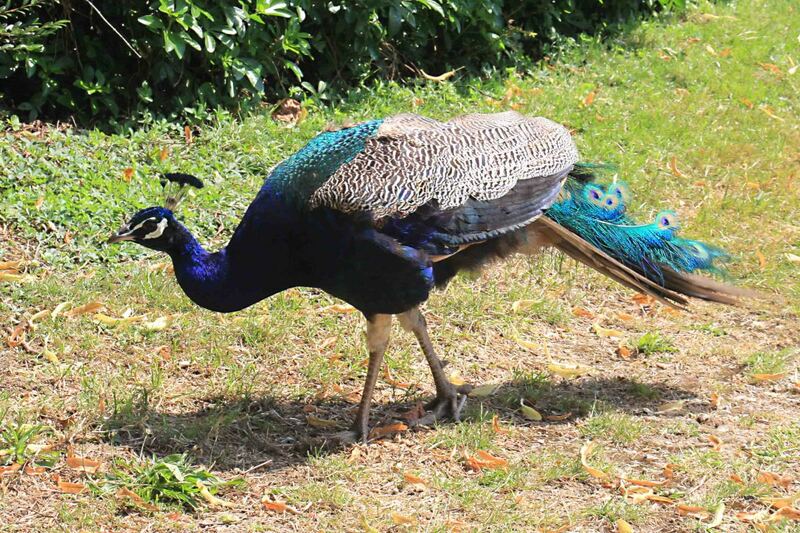 Today they are a treasured symbol of the castle and even appear on a Coat of Arms granted to the Leeds Castle Foundation in 1999. Of course it's not just water fowl. 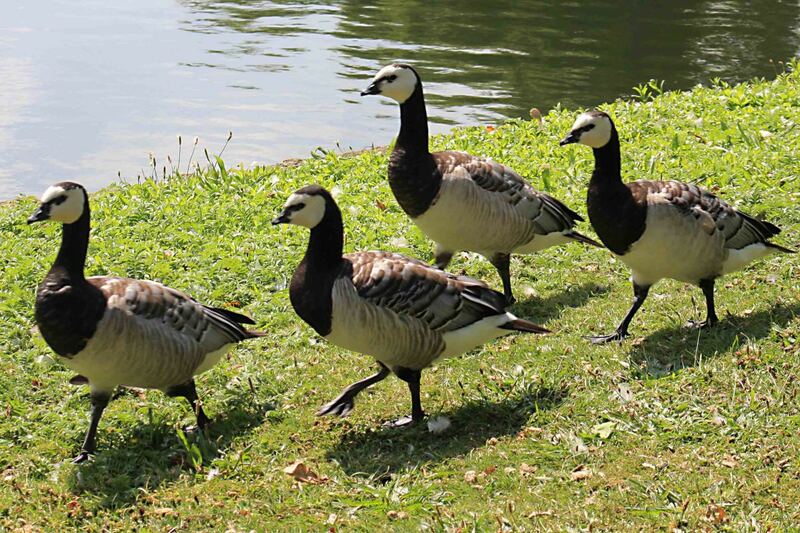 The gardens provide a haven for all kinds of birds, and organised and guided walks are available to discover these birds and other wild life. Of course the main appeal of Leeds Castle both now and in the past has always been the historic castle set in picturesque gardens. However in the grounds today there are several other attractions for both young and old, including a pay and play golf course. And there are also those amenities essential to any popular modern tourist venue - the Fairfax Restaurant, the Maze Cafe, and other refreshment facilities, as well as souvenir shops selling both the serious (historical guides) and the frivolous (toys and novelties). Naturally the theme of ancient history is well maintained with daily falconry displays and a curious small museum which exhibits dog collars through the ages (including really impressive, big spiked collars worn by hunting dogs in past centuries). These are some of the permanent exhibits, displays and facilities, but there is also a healthy seasonal calendar of events at Leeds Castle, including hot air balloon festivals, vintage car rallies, and concerts, as well as organised nature walks, educational history walks, and craft shows and workshops. And of course Medieval themed fairs including jousting and displays. It is also possible to hire accommodation at the castle, and rooms for special private events, such as Christmas parties. 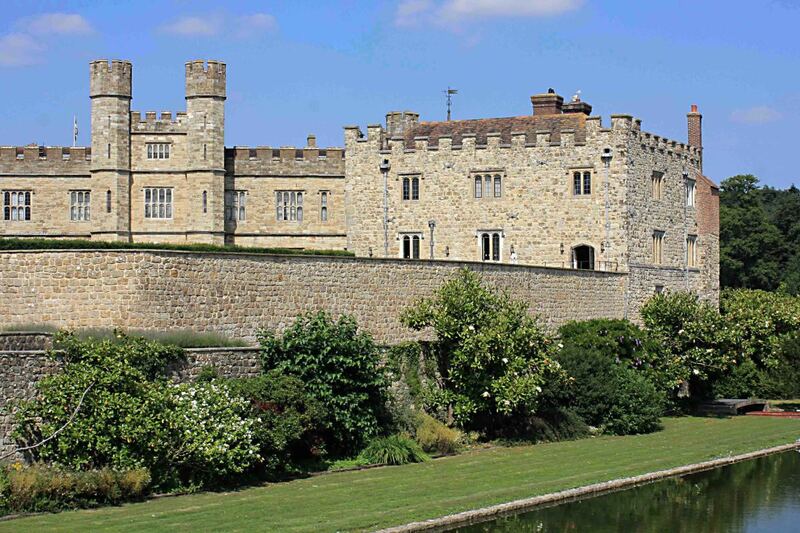 And for those who want a special place for their wedding ceremony, Leeds Castle is a venue which can be hired. The grounds are not huge, and most will be able to visit the different parts on foot. But in addition to the ferry and punts mentioned above, there is also a novelty land train 'Elsie' for children and for those who cannot walk too far. And there is also 'Segways' which is described briefly in a later section. Finally, there is wheelchair accessibility to most of the attractions, including the castle itself, though it must be appreciated that because of the nature of a 1000 year old castle, some areas are not fully wheelchair accessible, or can only be visited with special arrangements. 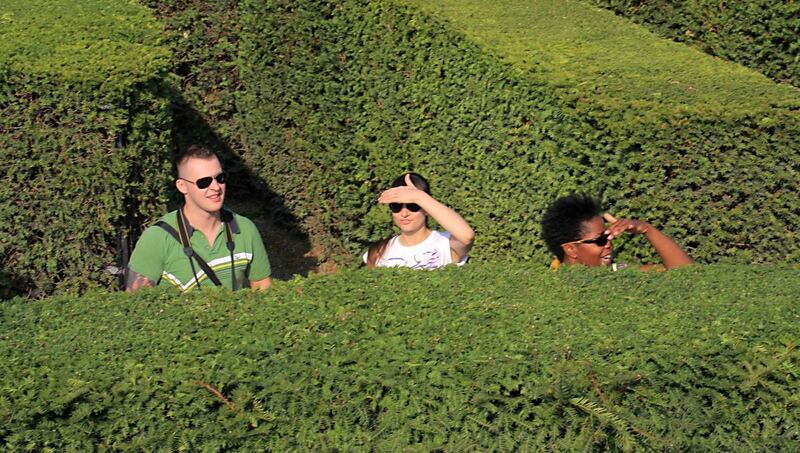 Of all the peripheral attractions at the castle, possibly the most distinctive is the castle maze. 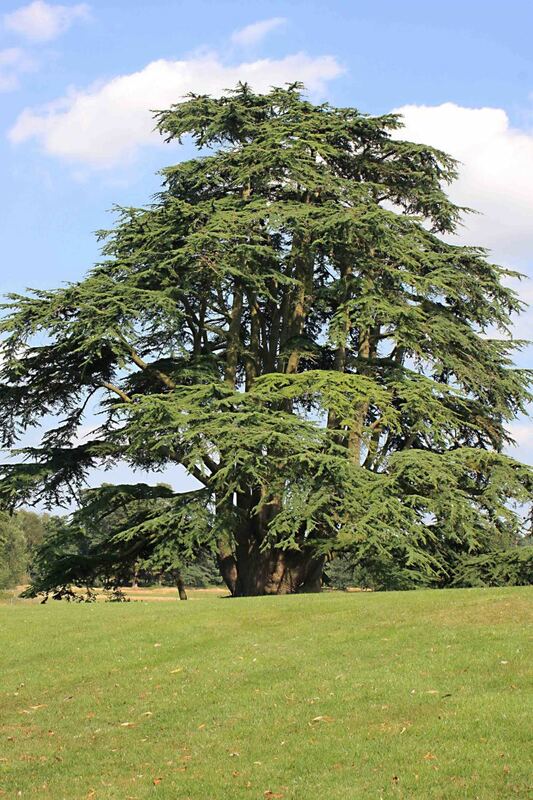 This was opened in 1988, planted with 2,400 yew trees. The maze avenues are circular and when they are seen from above, the central area has been designed to represent a queen's crown. Today the Leeds Castle maze is popular with tourists, and there is an added attraction - a 'prize' if you like - for when one finally gets to the stone mound and viewing platform which marks the exit point. The prize is the route out. 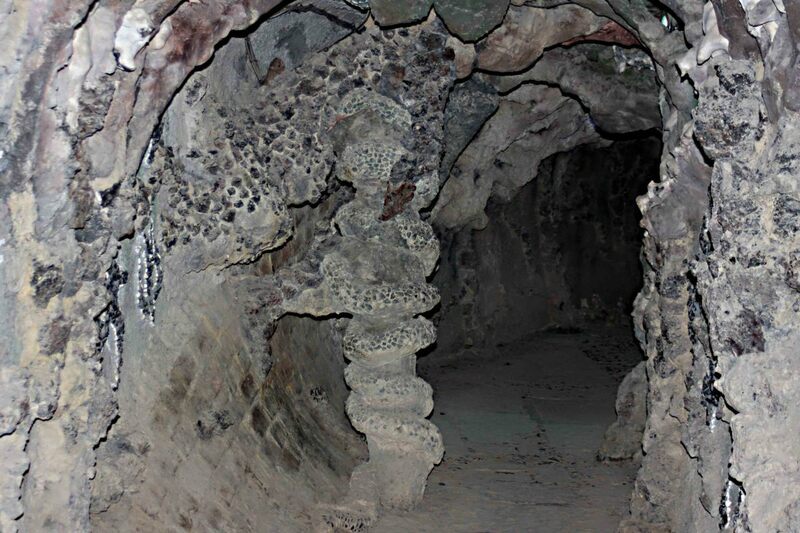 One descends into a grotto - an artificial underground cave, decorated with mythical demon-like images created out of shells and pebbles, and illuminated by concealed lights. A historic castle may not be the most obvious place in which to keep young children entertained, but Leeds does its best to cater for all ages. So in addition to the maze, grotto and boat and train rides described above, there are two children's playgrounds beyond the maze and close to the cafe. These are the Knight's Realm Playground for older children, and the Squires Courtyard for children under the age of six. And a large area of lawn here gives plenty of space for children to play, perhaps with the numerous 'ye olde knight' themed toys available in the souvenir shops. Even in this computer age, little children still like fighting with plastic swords! 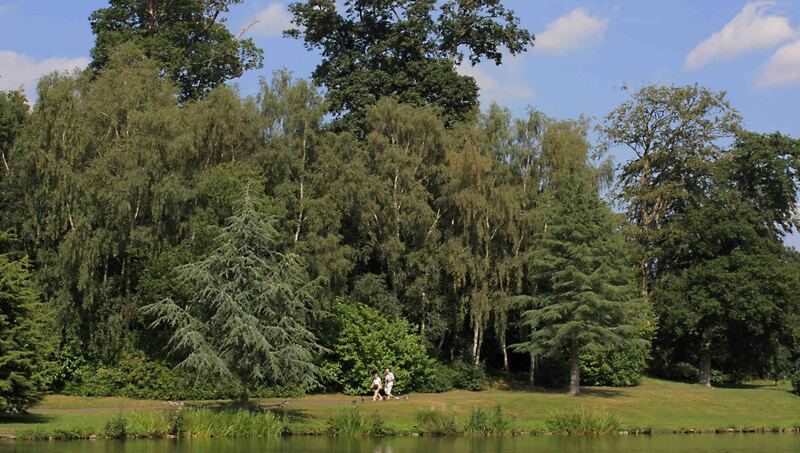 And for those of us who are a bit older but feeling adventurous, or at least a bit more active, there is 'Go Ape' a high zip wire course set amongst the tall trees near the entrance to the Leeds Castle grounds. And for those who can't be doing with just a sedate walk around the grounds, there is also Segways - the curious two-wheeled, self-balancing electric vehicle with simple handling controls and a maximum speed of about 12 mph - a bit like a monocycle to ride, but much easier! The map above shows the location of Leeds Castle south of the River Thames and south east of London. Leeds Castle is also en route from London to the famous cathedral city of Canterbury, and for many tourists, a visit to Canterbury and Leeds Castle makes for a memorable day out in southeast England. Most visitors will travel by road from London taking the M20 motorway east past Maidstone. There are also trains to nearby stations and coach tours which can be organised from London or elsewhere. 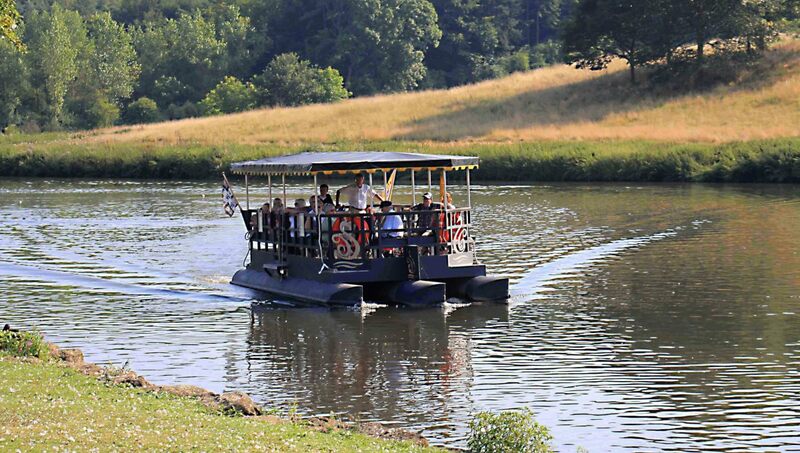 Full details can be obtained from tourist sites and from the official Leeds Castle Website. (the last admission is 4.30pm). (the last admission is 3.00pm). 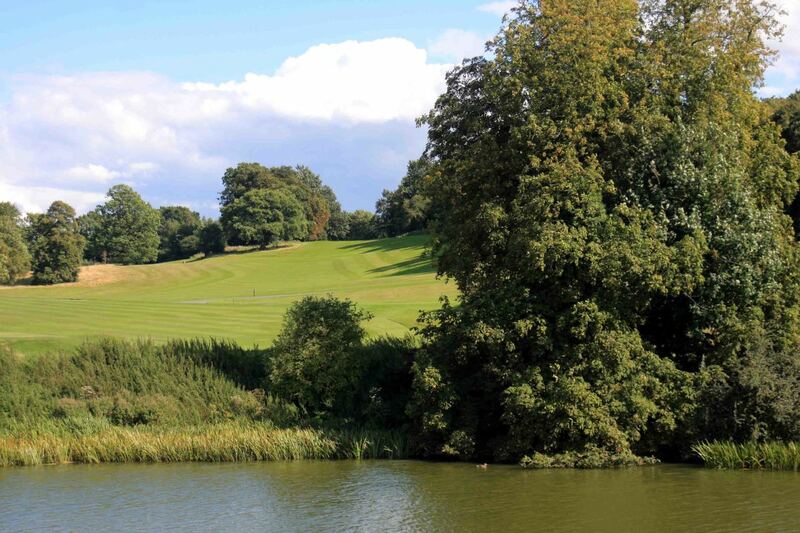 Some activities at Leeds Castle such as 'Go Ape' and Segways and of course the golf course do cost extra. The official website linked to on this page gives details of current prices. A Norman stronghold, home to six Medieval queens, a royal palace of Henry VIII, a private mansion and a national treasure - Leeds Castle has certainly seen a lot of history. Today the grounds and the buildings are open to the public to visit and to experience that history, but also to just enjoy the parkland surrounds and the other attractions which the modern castle has to offer. 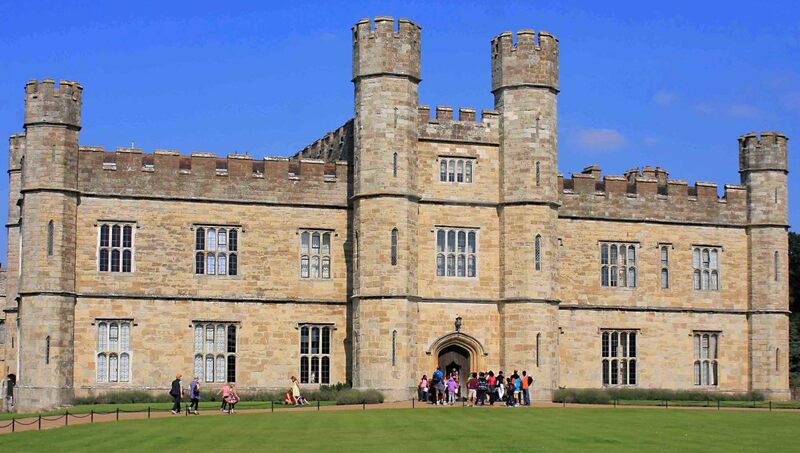 Currently, Leeds Castle receives more than half a million visitors each year, including locals on a day out, tourists from all over Britain, and overseas visitors on a day trip from the capital city of London. Whatever their reason for coming here, it will hopefully prove to be a memorable and enjoyable day out in the Englsih countryside for all. 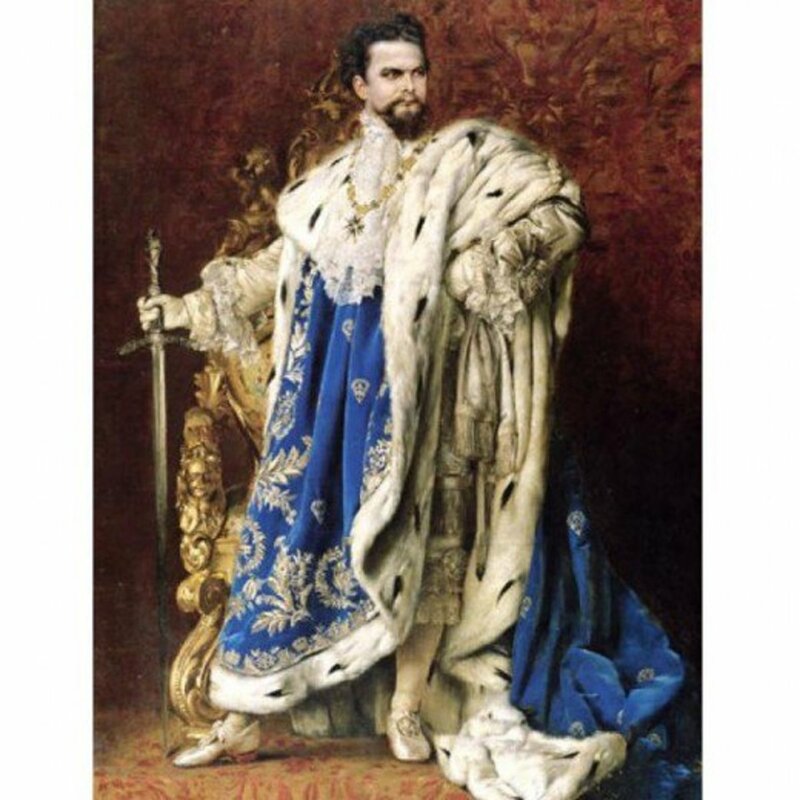 Fairy Tale King Ludwig II of Bavaria: Mad or Murdered? Fascinating hub on Leeds Castle. Thanks for all the great information and beautiful photos. It is on my list of places to go and is not that far away, so hopefully reading this hub will spur me into action! bdegiulio; Thanks Bill. I think for anyone spending more than two or three days in the London area, a visit to rural North Kent including Leeds Castle and Canterbury Cathedral, makes for a very welcome change in pace and scenery. 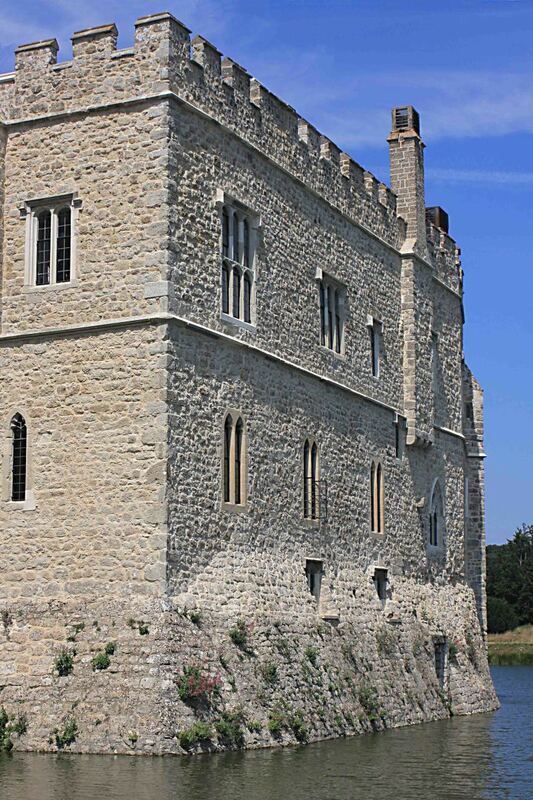 The castle is only about 40 miles from the centre of London, so is very accessible to most tourists. Hope you get there eventually! Very much appreciate your comments and congrats Bill. Cheers. Alun, what a thorough and interesting hub. I have yet to make it to England in my travels but will certainly add the Leeds Castle to my list of must see places when we get there. Great history, beautiful grounds, wonderful photos, just an all round great job here, which is very deserving of the HOTD. Congrats. annart; I know how it is! There's truly famous places in Britain that I've driven close to but I've never bothered calling in because I feel there'll always be another opportunity in the future. Whereas if I was visiting a foreign country I'd be willing to drive for hours just to see all the sights! It's always a pleasure to hear from you Ann. Cheers for the message. It is a lovely castle and grounds. Your details of the history and beautiful photos are impressive and very well presented. I really enjoyed reading this hub. Congratulations on HOTD - well deserved. Great information and beautiful photos. I've often admired Leeds Castle as one gets a tantalising glimpse from the motorway. Each time I say I must visit it but I haven't got round to it yet; we're always on our way to or from the tunnel and there's never time. I often go to Sussex but hardly ever to Kent. Lovely hub about a wonderful building. Congratulations on the HOTD! Very well done. A very informative useful hub with a lot of beautiful photos. Thanks for sharing. Bakerosity; Thanks. It's the history and the photographic potential which really interested me, but I guess one must recognise that not everyone will find enough in a castle and gardens to keep them happy. So the modern day entertainments and attractions are also important for many visitors. The whole package turns the castle from a site of historic interest, to a site in which hopefully everyone in the family will find something to enjoy. RTalloni; My Thanks. I like your phraseology - 'all those people entering life in their circumstances, then going'. When walking around a place like Leeds Castle it's easy to visualise people from all different eras of history - almost ghost-like - walking those same footsteps in their own times. Very interesting. 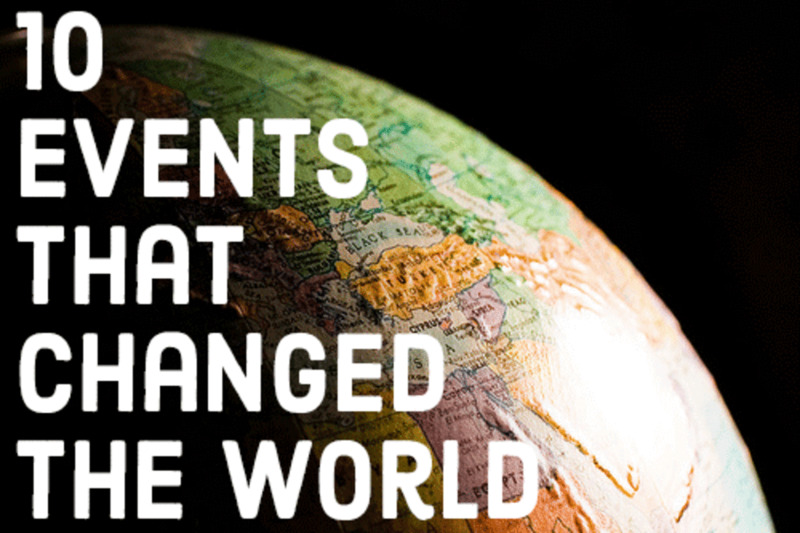 I like that you included, not only bits of historical information, but what you would experience today if you visited. Thank you for sharing your knowledge and information with us. How beautiful and what an interesting history lesson. Congratulations on Hub of the Day honors today! Congrats on your Hub of the Day award for this look at the very interesting Leeds castle. Its long history is remarkable and thought provoking--all those people entering life in their circumstances, then going, and now being represented in words on pages like this--loads to think about! CMHypno; Thanks very much. Hope you get there soon, whilst we still have some decent weather. (Though I'm sure the castle looks great with snow around the fields!) Otherwise, springtime is reputed to be the best time to enjoy the scenery. Alun :) For my little 4 years old, in the time we were in Kent, admiring the big waves produced by the storm was a big deal. Then he enjoyed the Chauncer stories in Canterbury and the visit in the Dickens house. In reality, don't think there's an age to follow me on a visit in a historical place. I love and feel history so much that I forget everything and everybody around me that isn't history when I'm on such a journey. I love castles with a passion, whether on your superb Island or on the Continent. Both offer real gems. That is surely why I enjoyed your short virtual travel so much. Makes me wanna book a trip to Leeds, you see ;) I hope that you'll keep entertaining the world with fantastic accounts of such memorable and outstanding areas. Well deserved Hub of the Day Award! Such amazing photos! 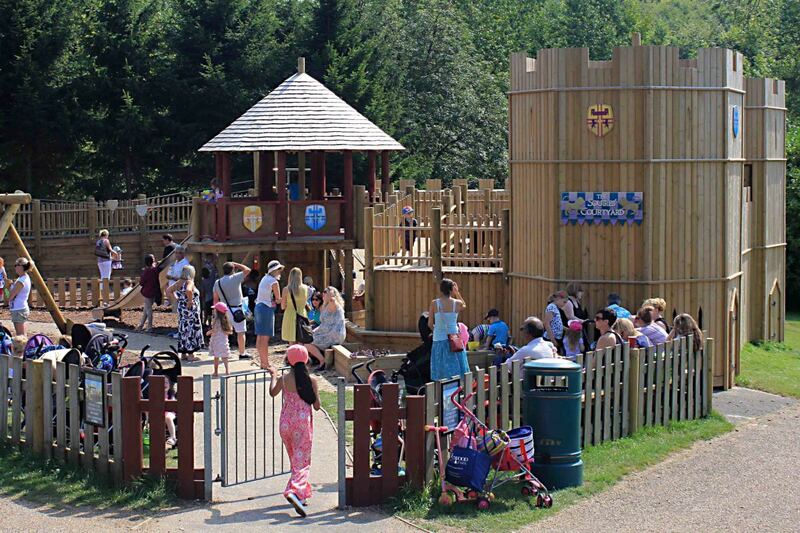 justholidays; Perhaps for children the best ages are young enough to play in the playgrounds and on the lawn, or old enough to have a go on the 'Go Ape' zip wire. Though for any older child developing an interest in history, places like this are great for bringing that history to life in a much more tangible way than can be found through just reading a list of dates and events in a book. I've passed this castle many a time coming up from Dover but never thought to visit it. Your hub gives great detail both historical and factual and the photos are excellent, they really back up the text. Well done. Leeds Castle is much older than I thought but it's in great condition, worth a visit next time I'm in that neck of the woods! dwelburn; I can understand what you mean about Neuschwanstein. And of course elsewhere in Germany there are numerous 'fairy-tale' castles along the Rhine which could also lay claim to the title of 'loveliest in the world'. SAQIB6608; Thank you Saqib. I hope you can get here one day! And best wishes; I see you have just recently joined HubPages, so I hope you find writing on this site an enjoyable experience in the days ahead. mySuccess8; Thanks very much. And cheers for the congrats on 'HotD'. It's certainly true that visiting castles is a great, interactive way for people to learn something about the history of the country. So much more interesting if one can actually see the real places and the artifacts which are associated with famous people or events from the past. It makes them come alive. Chauncey St Clair; Thanks very much. And welcome! I see you've only just joined HubPages, so I hope you find it a rewarding experience writing here. Leeds castle is indeed a lovely castle; and the grounds are beautiful. Not sure about the loveliest castle in the world though - it would be hard to beat Neuschwanstein. I have been a fan of England. Leeds castle seems to have a heritage site. Would love to visit it. Very serene and charming pictures presenting the beautiful castle. 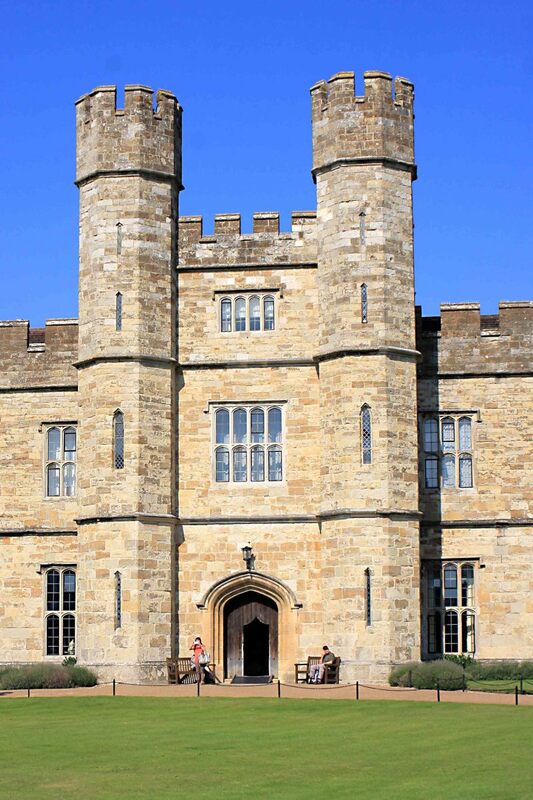 This well-documented concise photographic essay has convinced me why Leeds Castle is 'the loveliest castle in the world', providing fun activities and learning experience for everyone, from kids to adults. The wonderful photographs capture its beauty well. Congrats on HotD! 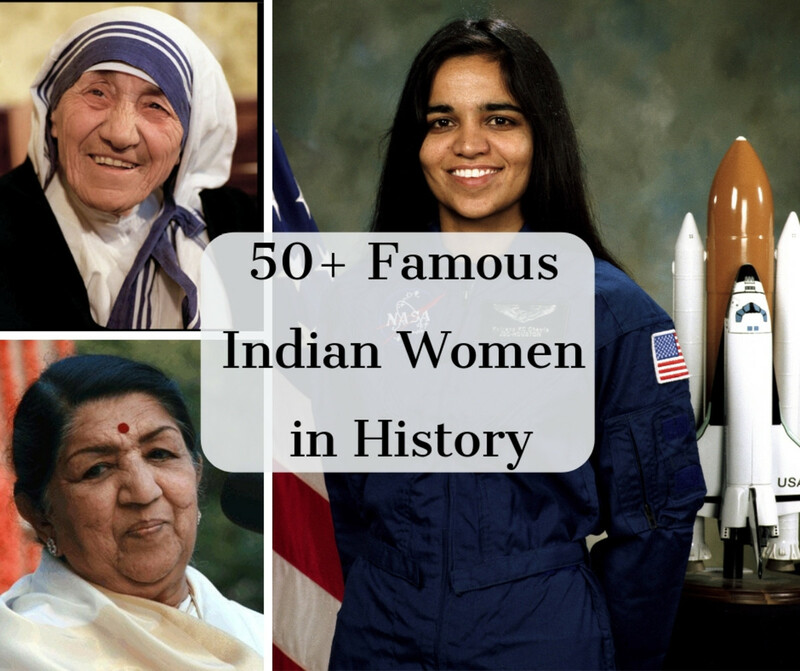 Fascinating Article! I love the insight and photos that you provided. It's hard finding this kind of information about English castles. Thanks! stuff4kids; Thanks very much for that lovely comment. It's always a pleasure to hear from you. Cheers. Glorious article about Leeds Castle, Alun! Stunning photographs, too, and packed with fascinating historical detail. It is a long, long time since I visited there with my late husband (we visited a lot of historical sites in England whenever we could) but it stands out in my memory as a stunning location. I think it was the first time that I had seen a real castle surrounded by a proper moat. Judging by your photos, you had better weather on your visit. I seem to remember that it was a very rainy, blustery afternoon when we went. Let's say it was atmospheric! Thanks so much for bringing back such fond memories - I must go again. Writer Fox; Thanks so much for the compliments, especially about the photos. Much appreciated as ever. What an amazing place! Your photographs are superb and I'm pinning two of them. It must cost a fortune to maintain this castle and the grounds. I can't believe it was actually privately owned! How wonderful that it is now opened to the public. It really is part of the heritage of England. Enjoyed and voted up and awesome! What an amazingly thorough, well researched and illustrated article. Leeds Castle is a stunningly beautiful and well preserved structure. enjoyed reading your commentary and your wonderful photos. Thanks for sharing this hub. Voted up. Hi Mark, regarding the historic news today that Scotland has voted to stay within the United Kingdom of England, Scotland, Wales and Northern Ireland, I think I might write an article about this in the near future - it's certainly been fascinating! I'm half English and half Welsh so I'm not directly involved, but most people south of the border naturally wanted the Union to stay intact. We do, after all, have an awful lot of history together (some to be ashamed of, but much to be proud of). The UK, including Scotland, has been a bastion of democracy in the last 100 years, and I think it would have been a real crying shame and a big mistake to break it up. I'm glad it was a 'No' vote against independence, but it's also a credit to the Kingdom that such an open vote could take place here on such a seismic change - there are as we know, far too many nations today where such a potentially radical change could only occur through bloody civil war. Finally is there a relevance to this article about Leeds castle? Not really, except that whilst Leeds is an 'English' castle, it’s also a part of that very long ‘British’ history I’ve talked about. Greensleeves, just another topical question, not exactly related to your Hub, but what do you think about Scotland's decision to stay part of the United Kingdom? markjayharris; Cheers Mark. I hope one day you can get to the Old World to see places like this. So many castles in England, Wales and Scotland - some lived in and some fought over, but all interesting in their own way. Excellent, informative hub. Love the pictures! I definitely will go there if I ever get overseas again. In the meantime you hub is the next best thing to being there. This is an excellent hub, Alun. 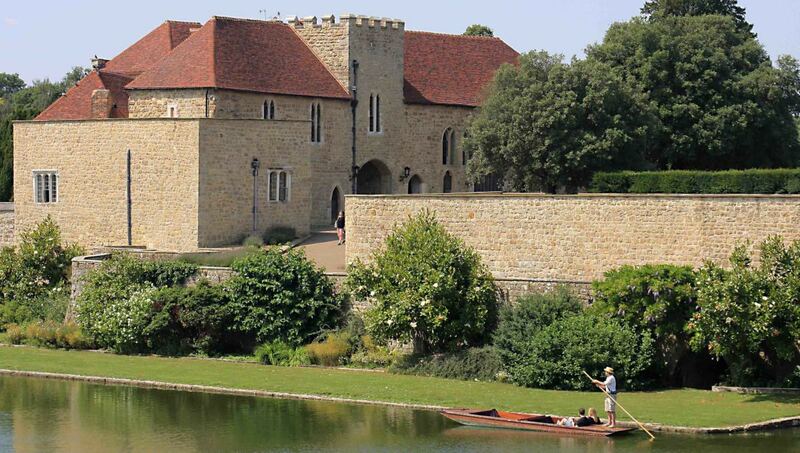 Thank you for sharing the interesting history of Leeds Castle and the beautiful photos. The castle looks like a wonderful place to visit. stereomike83; Thanks for that. Very much appreciate the comment. I know what you mean - living in southern England, I've never been to the City of Leeds! And I've written loads of pages here about Thailand, the Canary Islands, Paris etc, but this is the very first page I've written about a tourist attraction in my own country. It's easy to take one's own country for granted, and I think I will have to travel more and write more about England and the United Kingdom in future! What a well thought out, in depth and beautifully photographed hub. Leeds Castle is up there on places I keep meaning to go but with the in laws close by I do end up in Leeds itself quite a bit! Thanks for the tour of the Leeds Castle. Interesting history with great photographs of the architecture and surroundings. I like the furnishings. Voted Up and Interesting! What an amazing place and amazing photos! Voted up, awesome, beautiful and sharing! Will have to put this on my list of things to see if I ever get the UK. What an outstanding and well put together hub! The pictures are fantastic. I have a longing to leave Canada this instant and visit England and everything it has to offer - Leeds Castle being at the top of the list. Thank you for sharing!